Now a days, organizations look forward to offshore software development as it is cheaper as compared to hiring a professional into their own organization. They don’t need to bother about their employee’s health, insurance, pension and other aspects which can be basic necessities within the corporate world. It’s been observed that the idea of offshore software development outsourcing has helped companies to find international recognition. Companies are increasing steeply because they’re able to get the best from the professionals required for organizations. 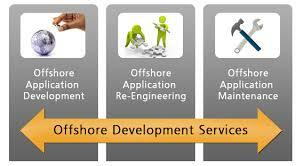 Quality and successful risk management will be another important part of offshore software development.